Developer Eran Epstein got the green light for his proposed $23 million conversion of an old Black Rock factory into the Fedder Lofts, with a combination of apartments and self-storage units taking up the Tonawanda Street building. 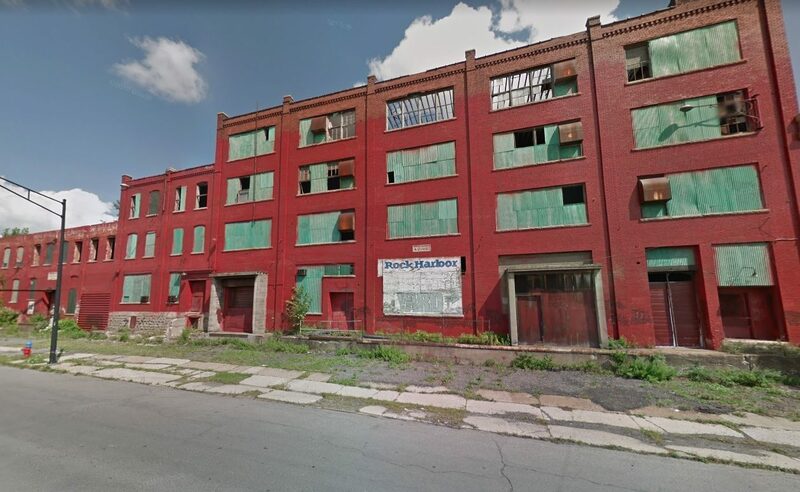 The Buffalo Planning Board approved Epstein's plan to renovate the 132,000-square-foot facility at 57 Tonawanda - which includes two-story, three-story and four-story portions - in an adaptive reuse of a building that was originally constructed in 1915 for Fedder Radiators. The project will feature 80 to 85 one- and two-bedroom apartments on all floors, with the potential for some studio or three bedroom units as well. Epstein said the project is targeted at "younger urban professionals" in their late 20s and early 30s, with rents of $1,000 for one-bedroom apartments and $1,250 for two-bedroom units. There will also be about 20,000 square feet of mini self-storage units in the building's core, where apartments won't work because the structural design won't allow for light and ventilation. The building sits on 2.5 acres, which will also include 65 parking spaces. As part of the work, crews will remove the Dryvit material that now covers the brick on the two-story portion, while rebuilding the rear of the three-story portion, where it partially collapsed. Epstein, president of E Square Capital, also plans to reuse brick, doors and windows. The project also includes a remediation under the state Brownfield Cleanup Program, as well as use of both brownfield and historic tax credits. "We're looking to bring it back to the historic quality," said Michael Berger of Sutton Architecture, who is working on the project. "It meets all the criteria for the city code." Lou Hremski, a resident of Elmwood Avenue and member of the Scajaquada Corridor Coalition, praised the historic renovation as "a positive step," but questioned the lack of public meeting or input. The property backs up to Scajaquada Creek and would be part of an area that was the subject of an urban planning study commissioned three years ago, he said. "There are a lot of people concerned with this project. We think that there ought to be public input," he said. "The coalition would like to have some input into how it gets utilized, as well as other businesses in the area." But Epstein said he met with Buffalo Riverkeeper to discuss the organization's plans for the creek, including if the expressway is eventually removed. He said Riverkeeper favors the project, as does Common Council member Joseph Golombek. The board approved the project, but urged Epstein to reach out to the Black Rock-Riverside Alliance. The project already received two variances from the Zoning Board of Appeals. "Continuing those discussions with the community as to what happens on that public site is important," said Planning Board Chairman James Morrell.